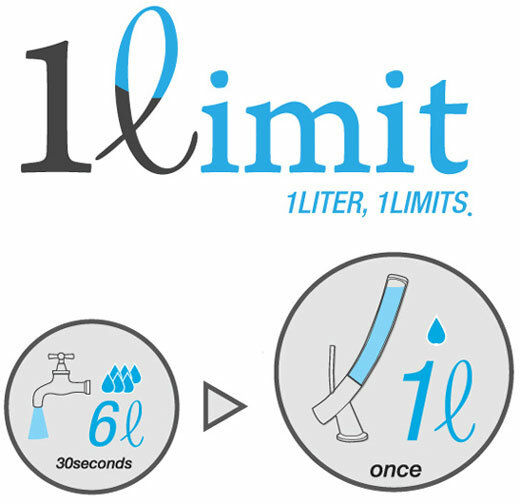 1ℓimit faucet looks more like an elegant test tube inverted on top of a tap. 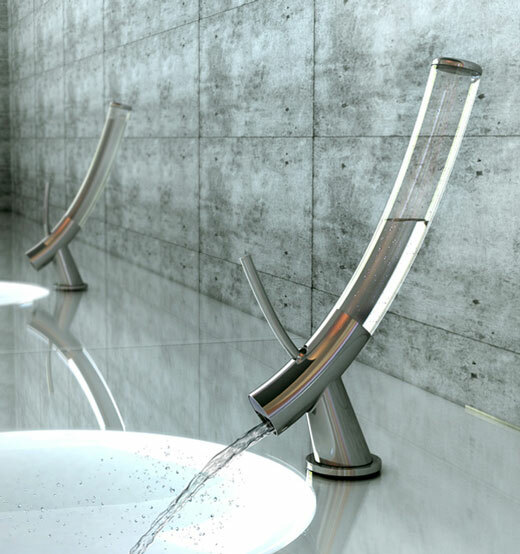 The glass tube holds exactly one liter of water, sufficient for a quick hand wash. The theory being that we waste almost six liters of water and use only one, while washing hands. When opening the steel lever you are entitled to the one liter of water the glass contains. Use it sparingly. Once the stored one-liter is used up, you have to turn-off the tap till the next one liter fills up the tube. A cumbersome rationing process that will hopefully drive home the point of conservation! Somehow, this design reminds me of the “POOR LITTLE FISH basin” in our previous post water saving product designs. I guess, in those cases, we are forced to conserve and be more eco-friendly.